In and amongst the current talk of independence, you might have heard some people in England say that they would be happier if the other members of the Union were forced further towards its periphery. Well, this flag, which was hoisted by Manchester City Council above the city's Central Library for Remembrance Sunday last week, provided us with a fascinating graphic representation of such a suggestion. You'll see that the red cross of St George looks as though it's flexing its muscles against the crosses of St Patrick and St Andrew, pushing them both to the side. 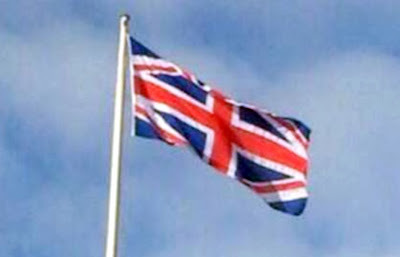 Do you think it was a deliberate ploy by subversive infiltrators at the flag manufacturer? Or am I reading far too much into a straightforward misprint?